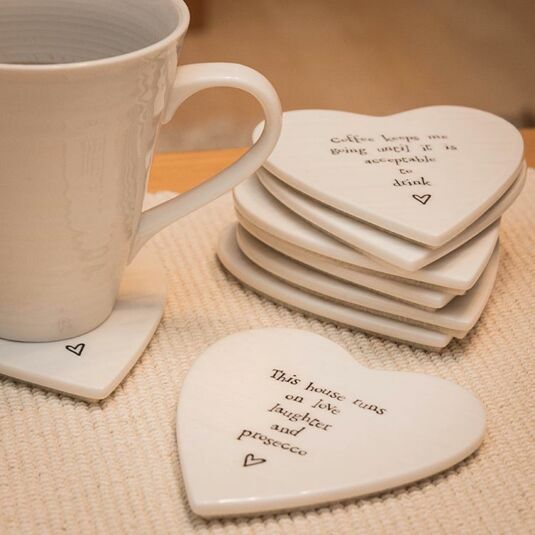 Add character to any coffee table with this delicately designed Porcelain Coaster from the makers at East Of India. 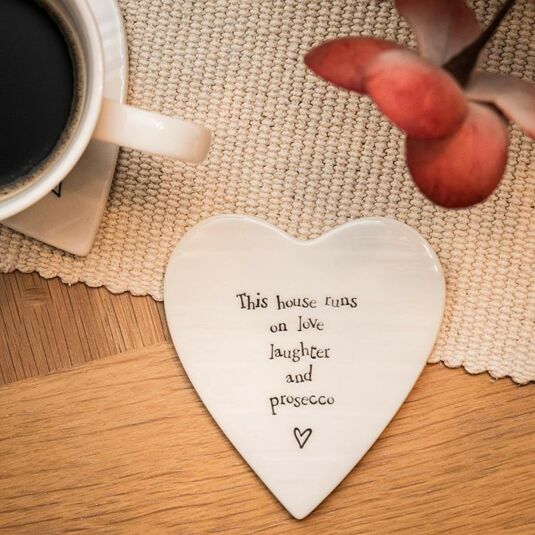 Made of beautiful Porcelain, this coaster is perfectly heart shaped and features debossed text across its face. 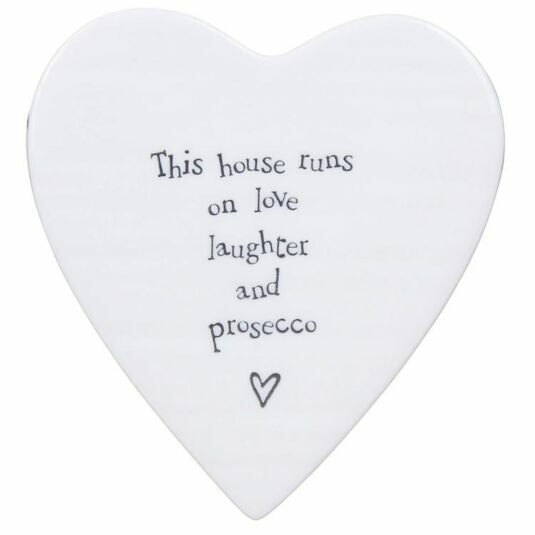 The words “This house runs on love laughter and prosecco” feature in the debossing on the lightly rippled porcelain material. This coaster is steadied with a padded bottom to ensure protection of any delicate surfaces it is placed upon.